Enjoys the desert area pontoon boating, golfing, Polaris riding on the trails. Dr. Kaylor's family practice offers a wide range of dental services. We are privately owned and managed. Dr. Kaylor graduated from The Ohio State College of Dentistry and is a member of the American, California and Tri County Dental Associations, and a fellow of The American Endodontics Society. 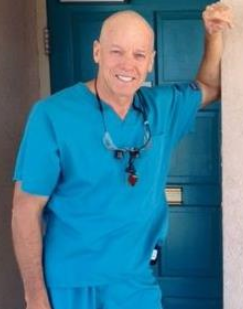 All our staff at Mohave Dental Center personally care and value you as a person and a patient. Our services inc: New patient exams, x-rays, emergencies, cleanings, professional whitening, quick full lab (sometimes same day), veneers, crown & bridge, dentures and more. Call us today for an appointment!